PUEBLO – A results-driven and innovative academic leader and award-winning professor has been hired as the provost and executive vice president of academic affairs at Colorado State University-Pueblo. 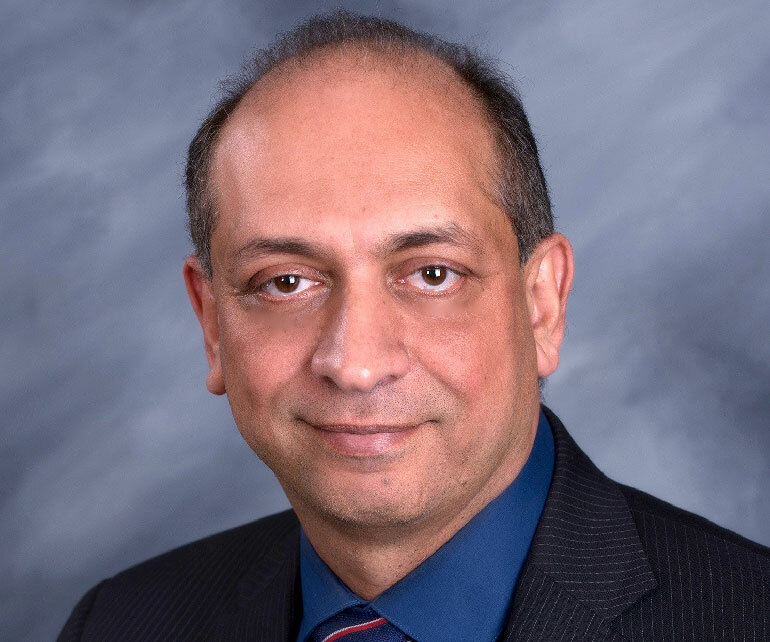 CSU-Pueblo President Timothy Mottet has announced that Dr. Mohamed Abdelrahman, vice president for academic affairs at Arkansas Tech University since 2016, will become the University’s top academic official beginning June 1. Mottet thanked Interim Provost Bruce Raymond for impacting academics at CSU-Pueblo in meaningful and significant ways during the past five months. On June 1, Raymond will return to his duties as the Dean of the Hasan School of Business, where he has served since 2012. A 10-member search committee recommended Abdelrahman from a national pool of more than 60 applications. As provost, he will serve as chief learning officer, responsible for the University’s academic quality and student learning. President Mottet described Abdelrahman as an experienced academic leader who has a proven track record of designing and implementing learning and support systems that map to students’ needs and enhance student success. Mottet said the provost works with faculty to develop processes that continuously elevate the academic quality and reputation of an institution while also attracting, hiring, and developing faculty who can teach, conduct research, and serve the community in an impactful manner. The provost is responsible for ensuring a relevant and vibrant curriculum and continuously assessing student learning outcomes to ensure that students graduate with competencies that will allow them to transition into a professional career. As vice president for academic affairs at Arkansas Tech, Abdelrahman focused his first-year efforts on student success, resulting in a 2.73% increase in retention rates from 68.6% to 71.3%. He also supported expanded study abroad efforts working with campus community. These efforts increased the number of study abroad students by 64% from 31 to 51 students. At Texas A&M Kingsville from 2010-2016, Abdelrahman served in several capacities, including associate vice president for research and graduate studies and associate dean of engineering. He received significant grants from funders as diverse as the National Science Foundation, the Department of Education, and the Nuclear Regulatory Commission for programs that improved the educational experiences for science and engineering students. "I want to thank President Mottet, the search committee and the campus community for the opportunity to join the excellent leadership team at CSU-Pueblo,” Abdelrahman said. “I am honored by this selection and am excited about the road ahead working with our dedicated faculty, staff, and administrators to foster students’ success, engage our community and stakeholders and serve the region and the state of Colorado. I see opportunities abound for CSU-Pueblo, and together we will bring them to fruition." From 1997-2010, Dr. Abdelrahman moved through the ranks to obtain tenure as a professor in the Electrical and Chemical Engineering (ECE) Department at Tennessee Tech University. During part of 2007, he was a Fulbright Scholar at Qatar University, where he researched applications of intelligent systems in the gas industry. At Tennessee Tech, Abdelrahman earned both the Sissom Creativity Award and the Caplenor Research Award as well as the student-nominated 2009 Most Outstanding Teaching Faculty Award. He serves as a Higher Learning Commission and Department of Education peer reviewer. Abdelrahman earned a bachelor’s degree in electronics and telecommunications engineering from Cairo University, master’s degrees in engineering physics from Cairo University and measurements and controls engineering from Idaho State University, and a doctoral degree in nuclear science and engineering from Idaho State University. His doctoral research focused on advanced control strategies for nuclear reactors.